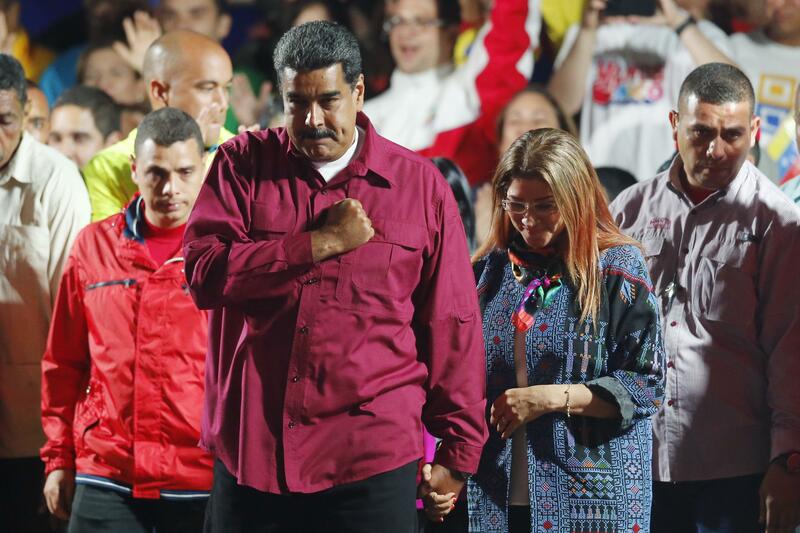 CARACAS, Venezuela – A growing roster of nations condemned Venezuela’s presidential election Monday and threatened to ramp up diplomatic and economic pressure on President Nicolas Maduro’s already embattled government. Falcon was joined in his demand for a new election by third-place finisher Javier Bertucci, who won around 11 percent of the vote. Bertucci, a TV evangelist who handed out soup at his campaign rallies, stopped short of challenging the results, partly blaming what he called a mistaken opposition boycott that led to a turnout of around 46 percent – the lowest in a presidential race in two decades of revolution. Turnout in the three previous presidential elections averaged 79 percent. A social crisis years in the making has worsened as Venezuela’s oil production – the source of almost all of its foreign income – has collapsed to the lowest level in decades and financial sanctions by the Trump administration have made it impossible for the government to renegotiate its debts. More than 1 million people have fled the country in the past two years and 14,000 percent inflation has crushed the minimum wage to less than $2 a month. Some poor cardholders in Caracas – there are 16.5 million nationwide – said they hoped Maduro would deliver on his campaign promise of a “prize” to those who demonstrated their loyalty. Maduro accused his opponents of trying to “demonize” a program intended to address the social crisis and not assert political control. Published: May 21, 2018, 8:41 a.m.